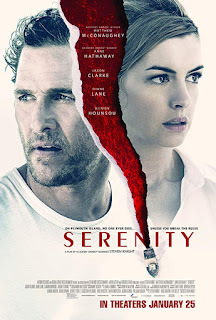 Read Jazzlynn's review of Serenity. The mysterious past of a fishing boat captain comes back to haunt him, when his ex-wife tracks him down with a desperate plea for help, ensnaring his life in a new reality that may not be all that it seems. When I first watched the Serenity trailer I was extremely excited to watch it. Matthew McConaughey and Anne Hathaway leading in what appeared to be a romantic thriller? Sign me up! The movie itself was completely different than what audiences had been led to believe, but was the change of direction worth it? I had two opinions, each of them on an opposite side of a teeter-totter. Initially I liked the movie, I considered the faults it had but ultimately came to like it. 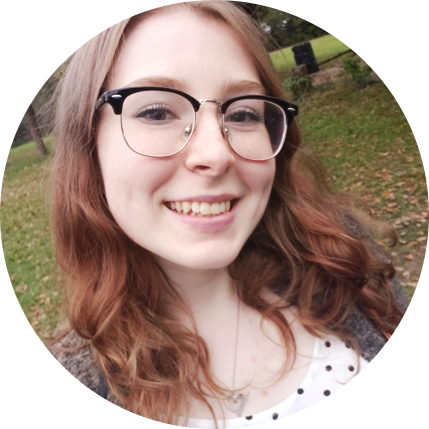 A few days went by and I decided to read what some other people thought about. Every review I read was negative, so how is it I liked this movie and not many others did?? Was I wrong? I rolled this thought over in the crevasses of my brain and came to a conclusion. I still thought the movie made sense. What appeared to be a romantic thriller, turned into a whole new movie when audiences were presented with the big twist near the end. What some of those reviewers failed to realize, is that this movie wasn't MEANT to be perfect. One person doing the work of an average of 100 is bound to have mistakes and flaws. The glitches in the movie are intentionally put there so that the twist makes more sense! No one is perfect and the creator wasn't either, but that's why this movie actually works. Having thought about this through new eyes, I began to appreciate the utter madness this movie attempted to bring to audiences. The execution of the movie could have been improved so that other people would come to this conclusion on their own. While it might not make much sense at first, there is a deeper understanding needed to fully appreciate this film.